So imagine this post came just after Roadtrip, but it took a while to gather and par-down all of the photos. Picking up where we left off, Kyla and I had made it to PA on Thursday night, and her flight back to FL was the following Wednesday. On Friday, Jonathan worked a half-day, and we went to the Franklin Mills mall. Then we met Andrew for dinner (Outback has gone downhill, don't go there anymore), and saw Funny People. I wouldn't recommend the movie, except maybe the first hour or so. 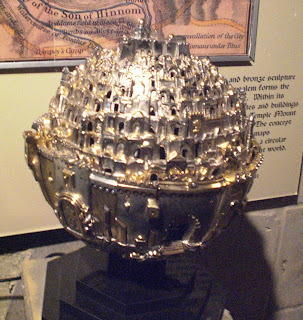 On Saturday, we drove to New Hope (PA) and Lambertville (NJ). I was weirded out by how many people were downtown in both cities (New Hope a little more so). Lots of interesting shops, a ton of ice cream places, and dogs walking everywhere (on leashes). Jonathan got a cherry ice, and we walked around for a couple hours. We drove into Jersey for gas, since the idea of someone pumping your gas was new to Jonathan and Kyla, and I haven't seen it done in a very long time. 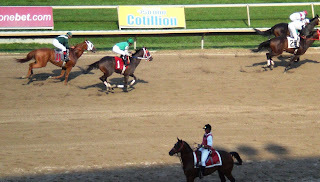 Then we went to Philadelphia Park and watched the final two horse races of the day. 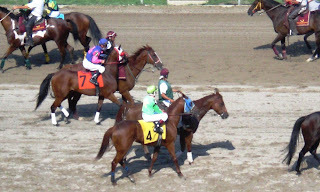 None of us made good guesses on the first one, but each of our picks placed in the top 4 on the second race. We also tried playing Scrabble with the new Cheez-It edition, but it's rather difficult, so I wouldn't recommend it. 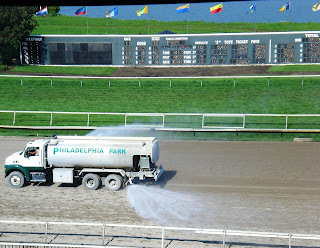 in between races this water truck came out and moistened the dirt. then a couple tractors raked it. 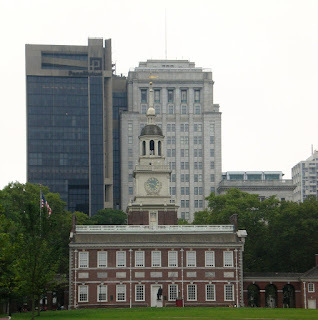 Sunday we went to do the Philadelphia Constitutional Walk, but suffered from a lot of rain. We also got parking-price-gouged the first two places we parked (and we're no strangers to paying for parking). But, now we know a few new things, so no biggie. 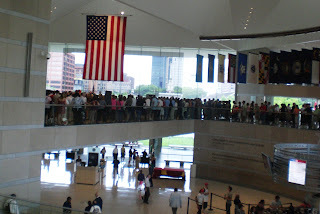 We first went to the Independence Visitor Center, since we had pre-arranged a tour for 10am. We got our tickets, went through light security, and before long had Tour Guide Chuck leading us around. Pretty neat place, not gonna lie. 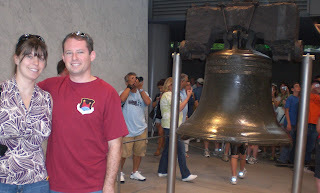 Then we crossed the street and saw the Liberty Bell. I was actually expecting it to be much more crowded than it was! 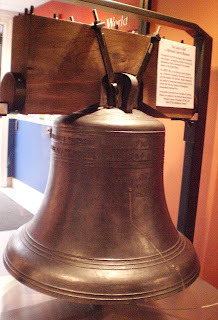 We got a few photos of the various sides, and read through the information about the Bell's history. 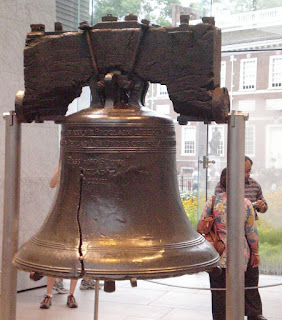 I somehow had not known that the reason its name was changed from the State Bell to the Liberty Bell was because of 1830s abolitionists! 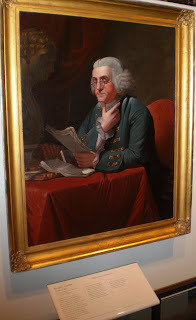 We saw a bunch of other places, but the "exciting" stuff picked up again at the Second Bank, where they have a portrait gallery that is quite extensive! 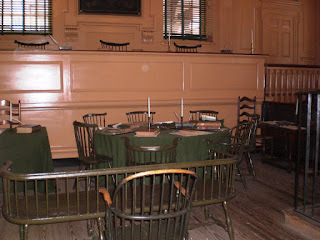 I was amazed at the quality and variety in the bank, especially since none of us had realized what would be inside! Jonathan dashed out in the rain to bring the car over (we were quite a few blocks away by this time), and we headed over to the Reading Terminal Market for lunch. PS - IF YOU GO THERE, GET YOUR PARKING VALIDATED!! We walked around some (Sundays are not the day to go, since about 1/3 of the market is Pennsylvania Dutch and they don't sell on Sundays), bought some apple cider and pretzels, then headed over to Carmen's Famous Cheesesteaks (cash only) for lunch. Kyla had a regular, I had a chicken, and Jonathan got his with pepperoni. All were good, although I'm not a big fan of cheese(chicken)steaks without sauce... I find them a bit dry. 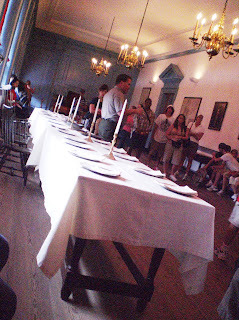 We headed out shortly thereafter, and with the sun shining, we continued with the tour. 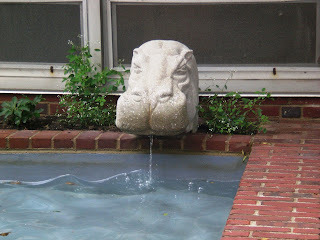 We went to Ben Franklin's grave (and passed a random fountain-garden with a hippo statuette), but it was mysteriously closed for the middle of the afternoon. We then went to see one of the oldest Quaker Meeting buildings, which was also closed to the public (Sunday, so they could have been in a Meeting). BUT, there was another storyteller outside! She told the story of a hunchbacked Quaker who was a rebel. We collected our second stickers and began toward a path that would allow us another four stories. Lastly, we went to the National Liberty Museum, which we literally came upon on accident on the way toward the car in the rain. We definitely wish we would have had more time to check out the four floors! We managed to fly through two floors, just glancing at highlights as we kept moving. It was "pay what you like" which was amusing, since there were also posted prices... perhaps it depends on the day? 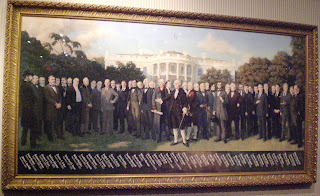 a painting with every President included, even Obama! 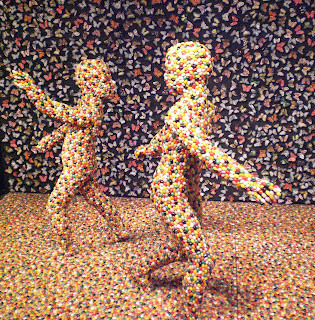 a fun exhibit made from jellybeans!